The meeting of the CTA-PL consortium will be held on Wednesday, May 22nd, 2019. The venue of the meeting will be Astrocent, on the campus of Warsaw University of Technology. The meeting will immediately follow the KRAC meeting in Warsaw (May 20-21st). 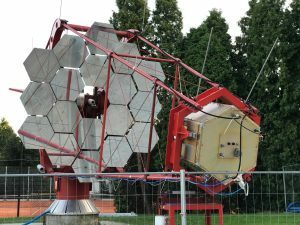 The European Forum on Research Infrastructures (ESFRI) made the decision in July 2018 to promote the Cherenkov Telescope Array (see 2018 ESFRI Roadmap). The status of CTA was changed from the Project status to Landmark status. Our project was one of eight projects promoted to the current list of 37 Landmarks. CTA was first included on the roadmap in 2008 and subsequently it is on it. CTA provided supporting documentation to report on the project’s status and progress toward fulfilling key requirements in 2017. After the evaluation by the ESFRI Working Group on Implementation, CTA was granted the status of ESFRI Landmark in the ESFRI Roadmap 2018. “This will coincide with the start of construction of a gamma-ray observatory that will be a world reference at very-high energies for the next 30 years,” said Gabriel Chardin, Chair of the CTAO Council. 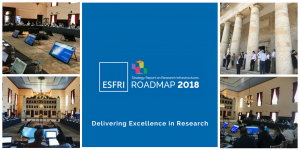 The ESFRI Roadmap 2018 will be officially presented to the public in a dedicated event, under the Austrian Presidency, on 11 September 2018 at Aula der Wissenschaften in Vienna. The CTA Consorcium meeting is finished! Thank you to more than 250 participants who took part in a fruitful week of planning and discussion on the future of the CTA Observatory. We would like to thank our hosts from the IPN-Orsay laboratories, LLR, the Irfu in cooperation with Paris-Saclay University and to the Organising Committee, including Tiinie Suomijarvi (Chair), Gerardowi Fontaine, Jean-Françoisowi Glicensteinowi, Jonathan Biteau, Valérie Frois (Secretary of the meeting), Sylvaine Pieyre (Secretary of the meeting) and to all those who contributed to the IPN-Orsay!